It’s relatively easy to get a Visa to India and costs well under $100. Air travel costs have reduced considerably and this is largely due to the Indian expatriates who regularly travel home. If you plan your route well, you can save a great deal on flights to and from. A good idea is to plan your air travel via a Gulf country like Dubai, Kuwait or Bahrain. Budget airlines regularly take off from there to almost all cities in India, so you can choose your destination and avoid extra air travel within India. Emirates offers a free visa for a couple of days to Dubai if you choose their services so it’s great way of adding a little extra to your budget trip. You don’t really need to purchase a holiday package when you go to India. Especially if you are planning a budget trip. There is endless information on the web and many people are more than happy to give you contact details of hotels and services that are great for your specific needs. Travel forums like Indiamike are great places to look for or ask about the information you need. Once you get to India, you have two options. You can either choose to experience all the many facets of one city or you could choose to travel around India and experience a little bit of everything. Goa – Sun , Sand , Old world charm and Food ! If it is your first time in India, the first option would be more appropriate as the country does take a little getting used to! Goa is an excellent place to visit as it has managed to strike a balance between being a very tourist friendly city while retaining it’s old world charm. The beautiful beaches and the ‘sussegad’ laid back attitude of the Goans make it one of the most relaxing places in India to visit. And this is the case whether you are travelling alone, as a couple or with your family! It’s also a popular party destination if that’s something you enjoy. There are also spiritual centres that help you understand and experience Indian spirituality. Travelling around Goa is quite easy as there are scooters for hire at Rs 250 (around $5 ) per day. You could also hire a car for Rs 800- Rs 1000 (around $16- $20) per day. Google Maps has mapped out Goa in great detail and if you have a device that supports Google maps, that’s all you need to find your way around. Although many people on a budget try to avoid peak season, if you plan your trip well in advance and use the information on travel forums about hotels and flats for rent, you will be able to enjoy all the benefits of peak season Goa. What this means is that you have more places to explore, better facilities to use and more things to see. This is because a lot of places in Goa shut down during the off season, making it very difficult to really enjoy your holiday. The off season also coincides with the fish breeding season, which is the time during which fishing is restricted, making it more difficult to sample the seafood delicacies that Goa is famous for. Once you’ve spent a relaxing holiday in Goa, you can then start to plan your next visit. 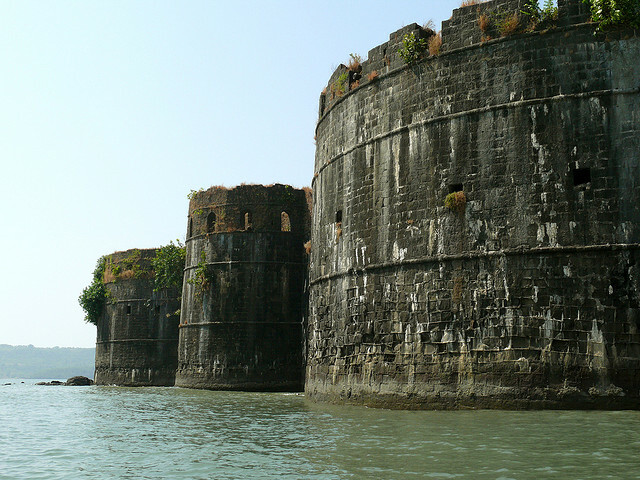 You may want to visit Goa again or plan a more adventurous cross country experience. Make sure you fully exploit apps like Google Maps and Foursquare to explore all the amazing places that will provide rich memories for you to take back home.